For February, we decided to loosen up our January treat plan rules a bit. 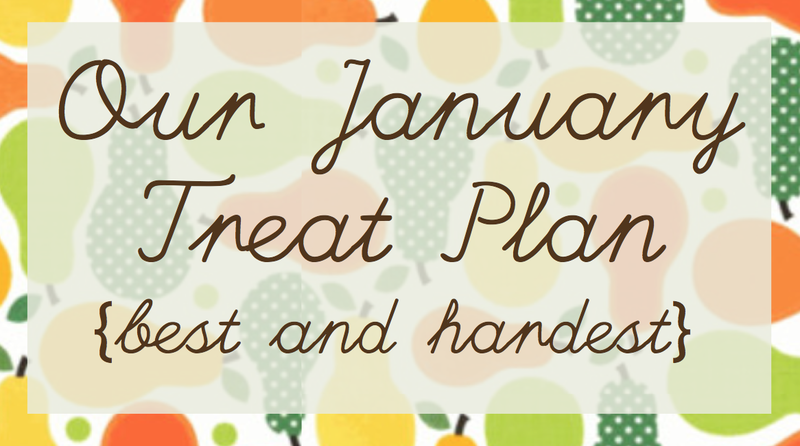 All through January if we were given treats for whatever reason we would set them aside for 'after our January plan'. Or when we didn't stop at the bakery for free cookies at Lee's or pick up donuts along with Tuesday Flowers... we were telling the kids 'not this month, we're doing our January treat plan...' so it felt like it wouldn't be totally fair to them to just stick with the same rules once January was over without making any changes or allowances. 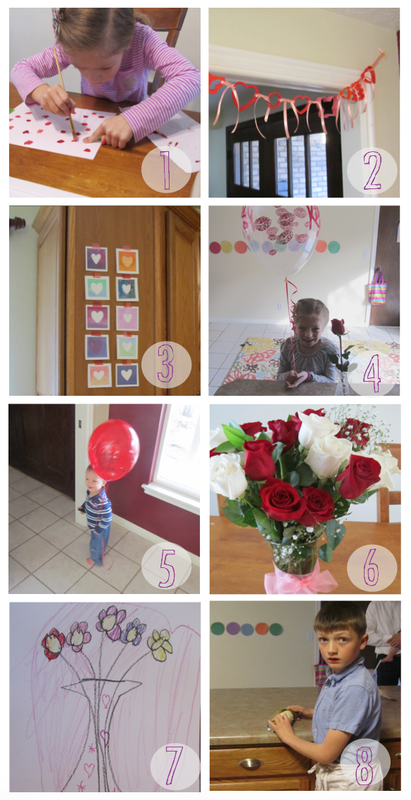 Also, with Valentine's day (classroom parties, treats from neighbors and friends, etc.) we thought it would be easier to be less strict about the rules. We continued to eat a lot less sugar than we normally would. We had fun making desserts together a bit, though we cheated a few times and ate some of the leftover treats from January that we'd hidden in the freezer. (Which seemed like a great idea at the time, but overall made the treat plan less fun I think). I loved trying a fun new dessert of peppermint muddy buddies. I went to a little party early in the month and ate a bunch of candy (because it was 'allowed' with our new rules), and I felt so sick afterwards that I was super ready to get back on a better eating plan. 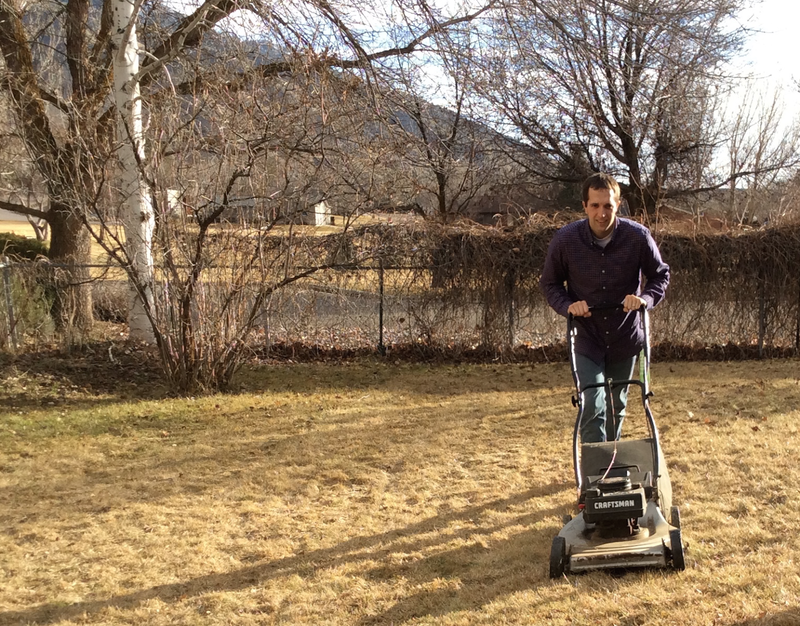 It was trickier to stick with this plan and feel awesome though. For example, a friend gave me a big, darling Valentine sugar cookie - and even though I was 'allowed' to eat any treats I was given, I also remembered how yucky I might feel, but then it looked so good, but then I wanted to feel good, but then look at those cute sprinkles... the biggest problem for me was that I had to think more about treats and whether I should or shouldn't eat them, and I was bugged that I would spend so much time worrying about it. Overall though, I think hooray! Next month I think we'll go back to our January rules (though I can hardly believe I'm the one voting for that!) I think this is so good, so I'm hoping we can somehow make these 'rules' a more permanent habit for our family. I spent an afternoon last week working on clearing out my raspberry patch (with some great helpers) and getting it ready for Spring. Last year when I tackled my raspberry patch, I was surprised at what a mess it had become without me even realizing it, but also hopeful at its fresh start and a bit of a fresh start of my own too. I didn't realize then (gratefully) how many more stops/starts it would take for me to really get my feet under me again. But it feels like I'm finally getting there. Besides the beautiful Spring we've had (even if it is too early), I'm feeling so much better and brighter myself. And oh! I'm so grateful! I love that smile of Jordan's! 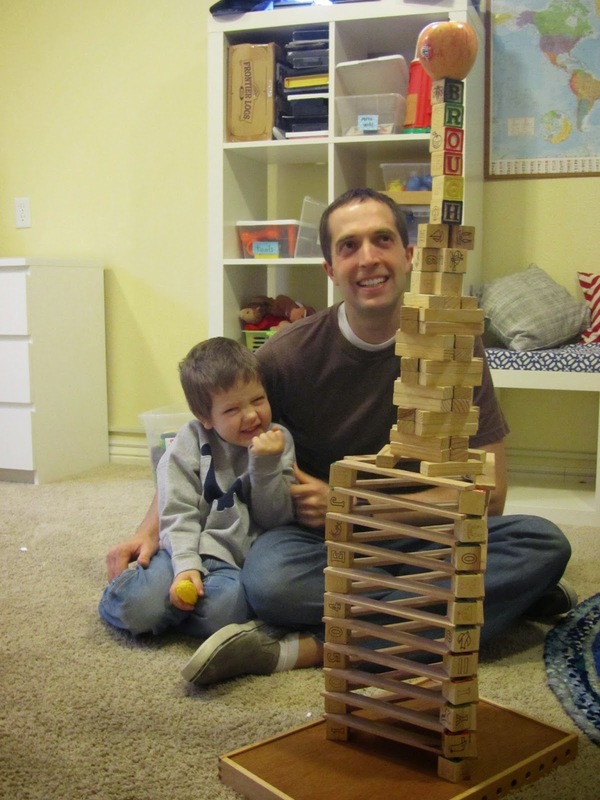 Jordan had so much fun with it that he also set up a time for Landon to have a mini-lesson, which he did on Saturday. And wow! It was so fun to watch Landon speaking and hear how well he could communicate and understand. The tutor was super and Landon had fun talking and learning about animals in Brazil, soccer, school, etc. Such fun! It was crazy how many details we had to figure out to finally click 'buy' on our tickets though. Travel dates and schedules for everyone involved, most cost-efficient while still reasonable days/times (Jordan spent hours on this! 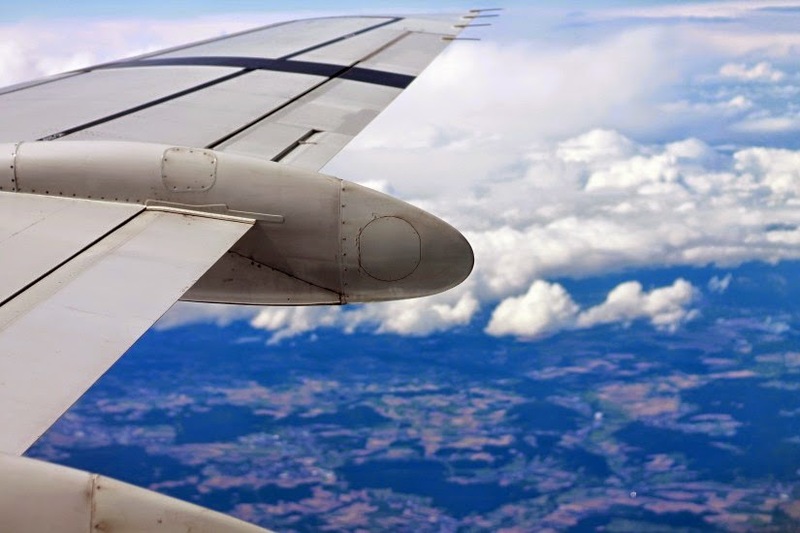 ), coordinating two different departure cities, best layover options, seat arrangements and assignments (top priority: how can we help Porter not keep an entire plane full of people awake all night long? 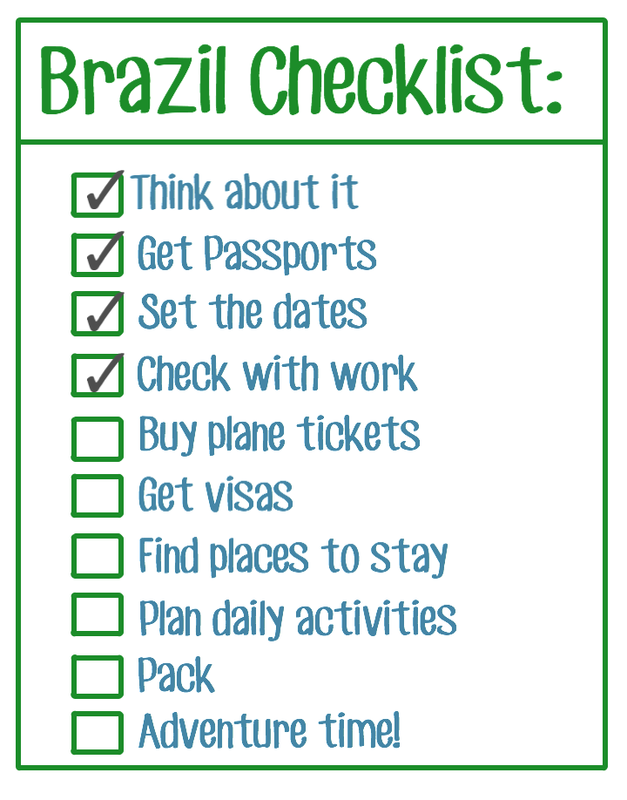 ), trip insurance? credit card points? day trips combined with arrivals/departures? Lots of little decisions to make. 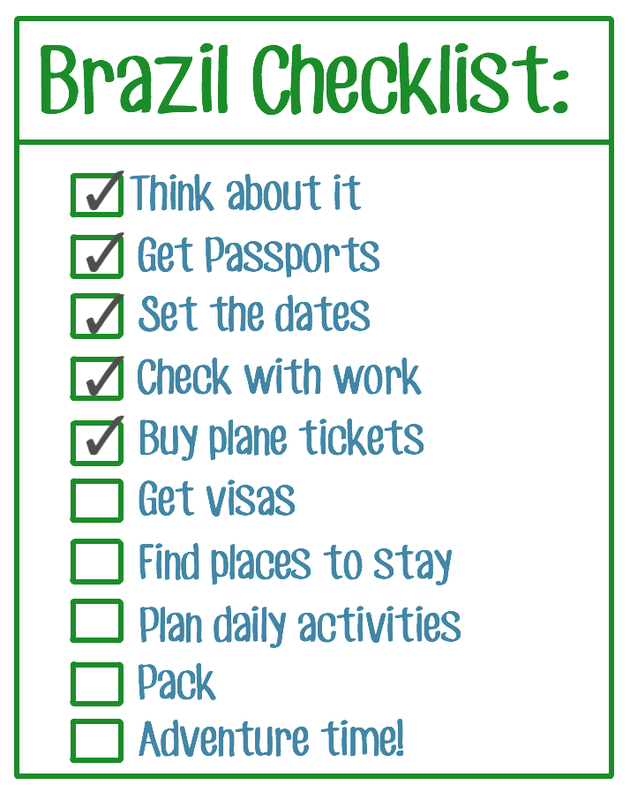 Next up is Visas and then we're on to the fun of picking out what destinations will fill our days while we're there. 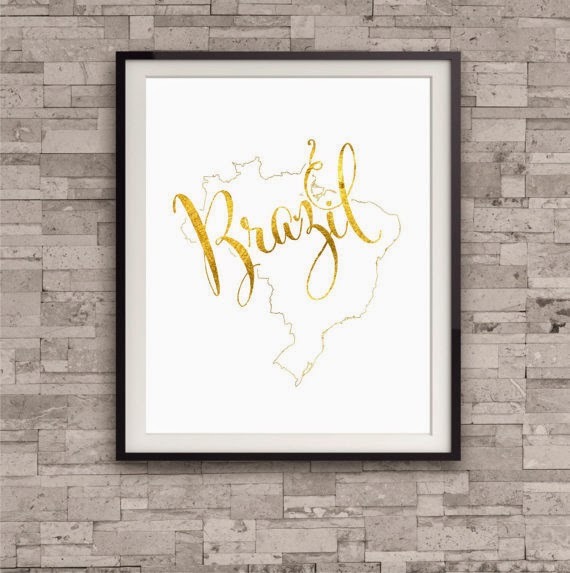 I've been practicing my Portuguese (reading) searching for good Brazilian 'mom blogs' to help me find the best ideas of where to stay, places to visit, fun things to do with kids, etc . Hooray for this exciting adventure ahead!! "Whoa! .... That was awesome!" 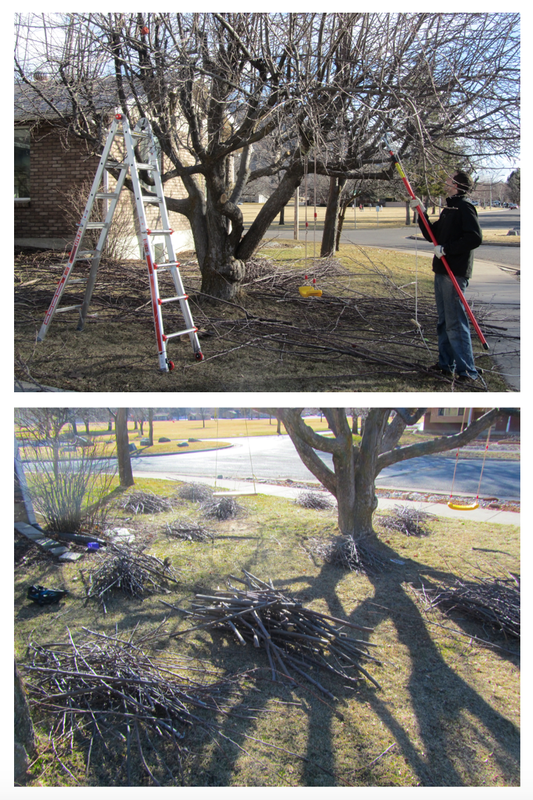 Jodan spent much of the day on Monday working on pruning our apple tree, and there is still quite a bit more to do. The last time we had it pruned, I kind of panicked with how much was cut off... so it's been a few years since it's had a thorough pruning. Finally I was okay with taking care of our great climbing tree (plus it's easier without it's leaves when the change isn't quite so drastic) so Jordan set to work. And what a job! Hopefully this Fall will be busy with apple picking and lots of apple recipes. We had such a fun surprise on the way to school one morning this week. Someone had filled the tree at the roundabout with all of these bright happy Valentine's hearts. What a treat for our neighborhood - such a fun sight to see! We had a happy Valentine's day yesterday. The highlight was a special dinner Jordan helped the kids get ready for. Landon and Ellie acted as the chefs + waiter/waitress as they prepared and served a delicious meal to Jordan and I at the fancy "Brough Cafe". Complete with beautiful roses at the table and our nicest dishes, salad, rolls and chicken cordon bleu and even a delicious dessert of cookies and ice cream, plus lovely music in the background and exceptional service (I'd recommend to anyone :) It was just a lovely evening. 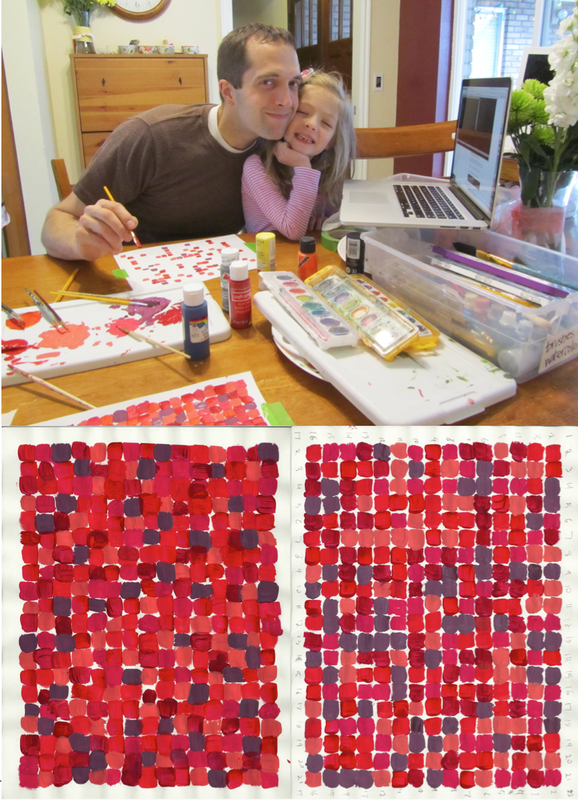 A fun Valentine's Day project -- we left our paints and green tape out for a few days at the beginning of the month and everyone had fun making these beautiful watercolor hearts. 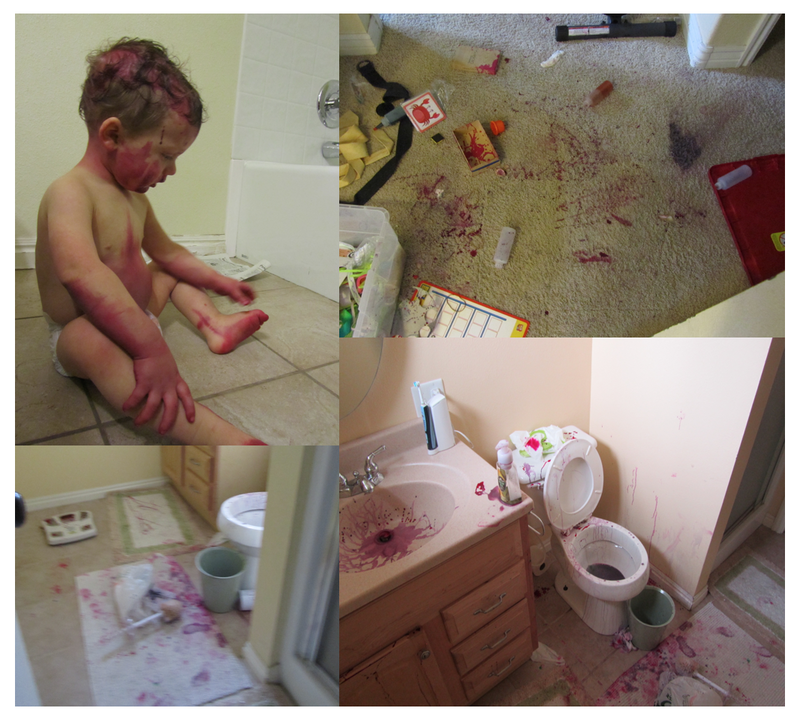 I loved Ellie's carefully chosen colors neatly blended, and was surprised too at how much I loved the boys' with all the variety of colors and how well they blended on the watercolor paper. So fun! Ellie had the day off from school yesterday, and these two had such a fun time playing together through the morning. Building tracks and playing trains, a walk/bike-ride (not their favorite, but mine), planting 'magic beans' and playing at the round-a-bout... I think these kids are lucky to have each other. Also, last night before reading time and bed, Ellie came out to the book shelf and asked 'What books do you think Owen will like?" 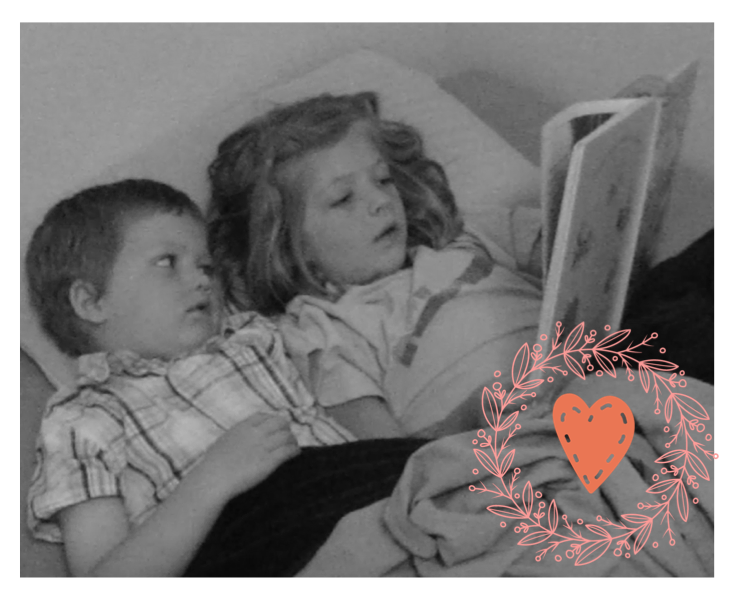 He sure loves being read to and it is such fun to have our little reader Ellie loving to read to her little brother. We took advantage of the beautiful afternoon today and took a long walk down the hill to pick up a Panda Express dinner. Porter was a happy camper (with one emergency stop at the gas station on the way home for peanut butter crackers). Landon rode and was super tough on the hill back home. Owen was a great little trooper on his balance bike with some stroller riding at the end. And Ellie was a happy scooter rider/ stroller rider. 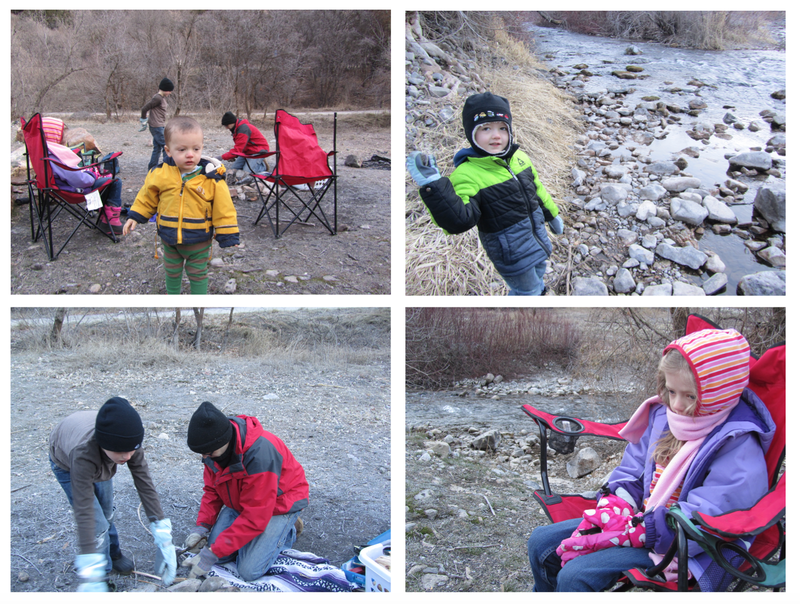 (And Jordan managed to push all three kids + scooter + balance bike for the last bit when the kids ran out of steam). It was just a great little adventure that made me excited for our fun adventuring season ahead. We are loving these beautiful February days! Owen loves to stop by the office to visit Jordan at work. With a special snack or a recently colored picture in hand, he'll open our back patio door and look out across the grass. A careful check through the office windows and then "his headphones are not on!" (the all clear that Jordan isn't in a meeting), and then he's out the door. Then one stepping stone at a time (usually with cold bare feet) he'll make his way out with his treasure to deliver. And a few minutes later he'll be back with a proud report of his happy little visit. Such a sweet part of these working-from-home days. And do you want to know the answer? The over-mixed muffins turned out very smooth and very peaked on top. The kids liked them the best ("can I have another over-mixed one please!? "), but I thought they were turned out a bit too tough inside. 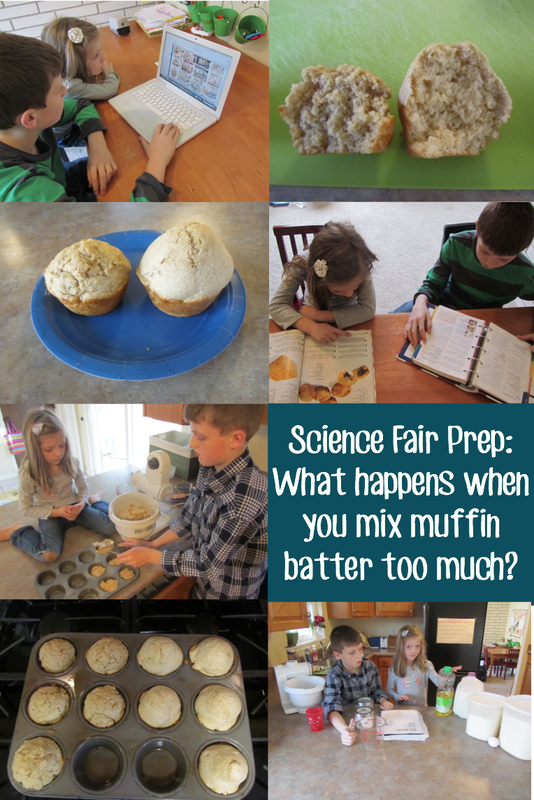 We sure like muffins around here, so this was a really fun project that I'm sure will be remembered. We are so happy to have Jordan back home! After a morning of just relaxing and enjoying Jordan's homecoming, we celebrated with a fun lunch of bread twists and salad at Pizza Factory, and then enjoyed all afternoon outside on this crazy beautiful day. The park was busy all day with kite flyers, frisbee players, walkers, runners, kids and families... oh! What a beautiful day! 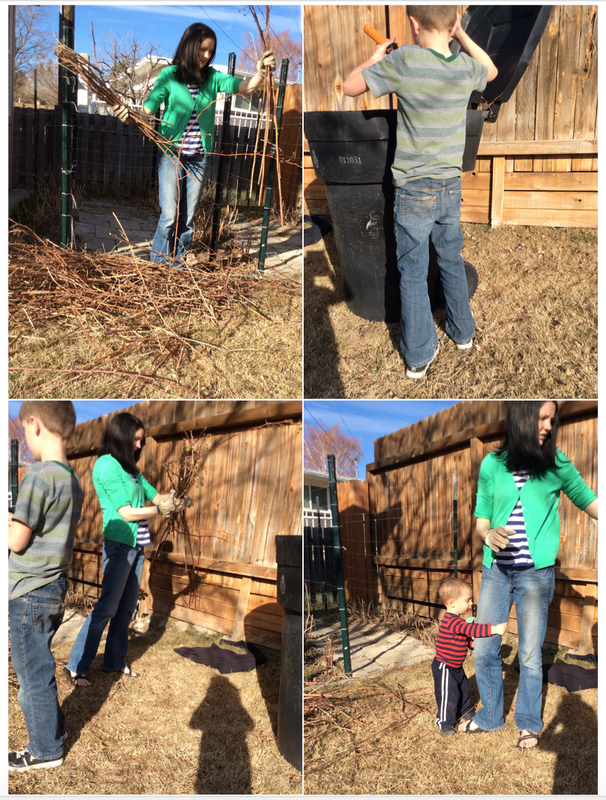 We tackled some yard work leftover from the Fall and Jordan and I talked out some Brazil plans while Ellie and Landon played with friends and Owen and Porter so happily explored outside. Then a pizza movie party to end the day, and a happy day it was! It's been such a delight to watch Porter rediscover what 'outside' really means. 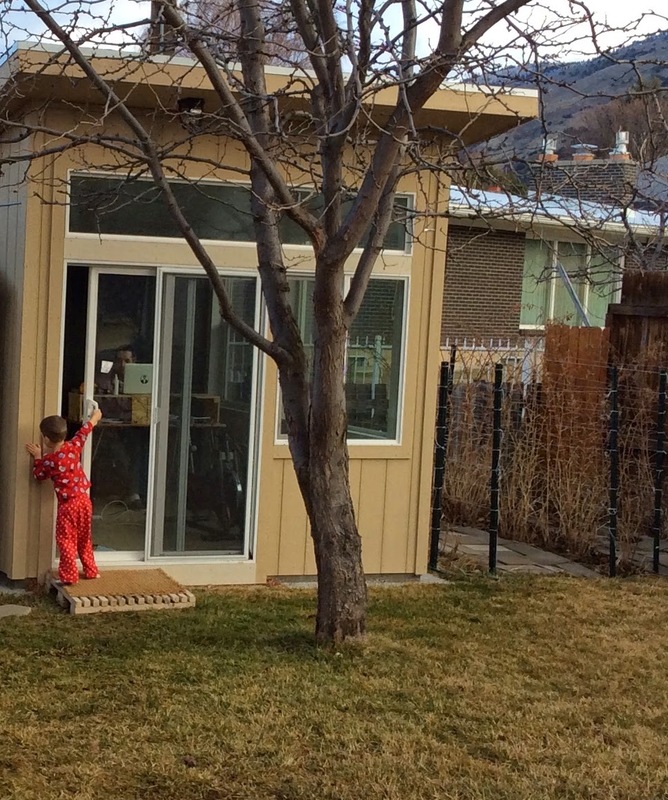 At one point he sat at the top of the mini hill where our lawn and our neighbors' connect, then scooted himself down - one little scoot at a time - saying 'Wheeeeee!" I recently read an article from a mother who believes strongly that young kids shouldn't be doing homework, and so her kids don't. She talks with their teachers and is very respectful, but she focuses their family time on the things she feels like matter most. I thought that was really great. I'm not planning on veto-ing homework for our family, but it did make me rethink whether our after school homework time was really the best. I know well what areas my kids are great in and where they need more practice, so I've started to work on making our homework time more meaningful and not just hurriedly getting through what was assigned. (And with a little extra sleep, that is feeling more possible!) We've started doing little extension activities I'll think of, or at least having conversations about the take home books Ellie. For Landon, homework that feels like busy-work I just let slide, and then I've also made more of an effort to encourage neat handwriting and thoughtful responses on the work he is doing. And I've been trying to think of fun activities we can do all together too. This week, we've all been playing a Valentine's math facts game as part of homework time, and the kids have really loved it. I love doing little projects and games like these, so I'm feeling so happy to be taking the time to do them these days! A few days ago, Porter woke up from his nap a little sleepy still. I brought him out to sit with me while I finished my Duolingo lessons. I was loving to hold him - so calm and so still! Before long, I looked down and he had fallen right to sleep in my arms. 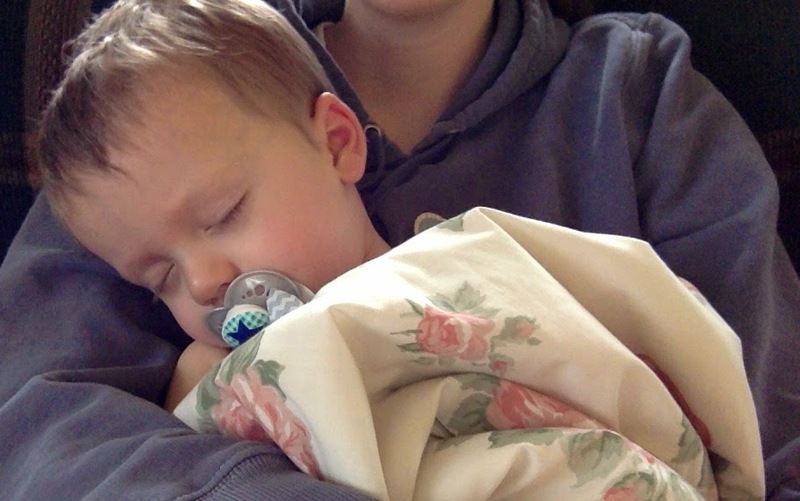 What a sweet few minutes to just hold this sweetly sleeping boy! 5:00-6:30 up lots and lots and lots of times until we finally get him up (tired and worn out - like his mommy!) at our official wake up time. I'll still celebrate next time we have a 'sleeping through the night' night, but even these little changes have felt pretty huge to me! - I liked not having treats be rewards, and finding other things that were better rewards than treats. - I liked our pineapple snack treat and how it felt like even more of a treat since we weren't eating so many other sweet things. - I like that you (Debbie) let me be in charge of making a dessert! - I liked that dessert days were extra special and we got to take time to plan out and make an extra special treat for our family. - I loved that we were all working together as a family. That was such a great motivation to me and so fun. - It was super cool to see that my tastes really changed. The second time we had chocolate chip cookies in the month, I couldn't believe how crazy sweet they tasted! - At first it was hard to have all the Christmas treats hidden away and not want to munch on them, but it pretty quickly became no big deal. - I liked that I didn't have to be tempted at all the treats on display at the grocery store - having a set rule made it super easy to ignore all that. 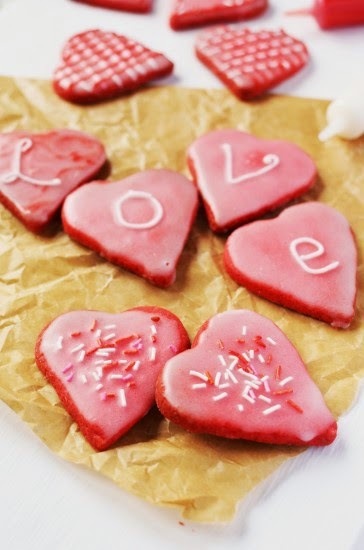 - And now I'm excited to keep up with a good February treat plan! Ellie has been working hard for the last week on making her class Valentines. 100% Ellie designed and made cards, attached to some cute notebooks (that were on their way from my craft room to a donation box, but were found just in time to become Valentine gifts). This holiday has brought such fun crafting/making time. My 2 hours of get-things-done were well paid for the rest of the day with a few hours of bathroom cleaning (and still tie-dyed grout/cabinet spots/etc. ) and a few more hours of carpet cleaning (and quite possibly permanent pink carpet). I got the kids ready and off to school this morning then came home to start on my morning jobs. 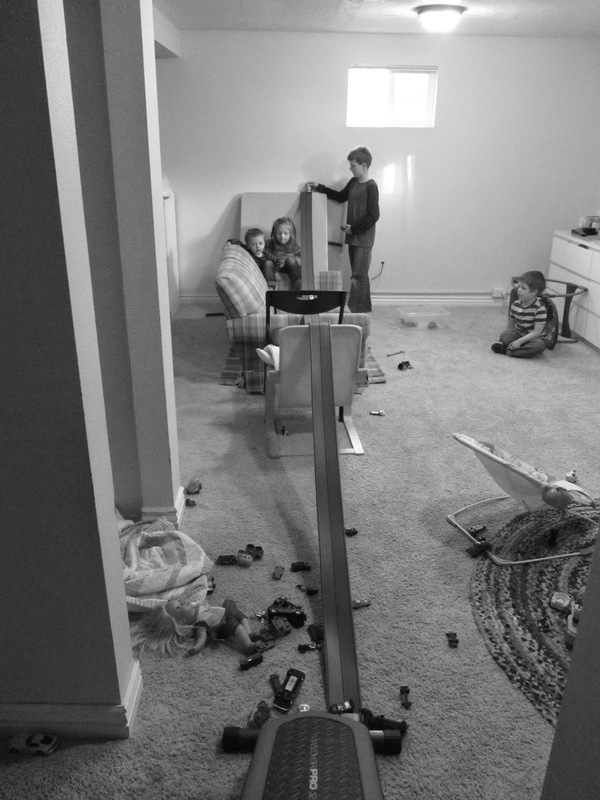 Happily, Porter and Owen were just being great buddies and went downstairs to play all by themselves - hooray! Then, they just kept playing and playing and playing. I got all my morning jobs done, some great planning, a shower (!) and more. They played happily for almost 2 hours, with just some very quick checks from me every once in a while - amazing! Hooray for these two little brothers who had such a fun time playing together today!